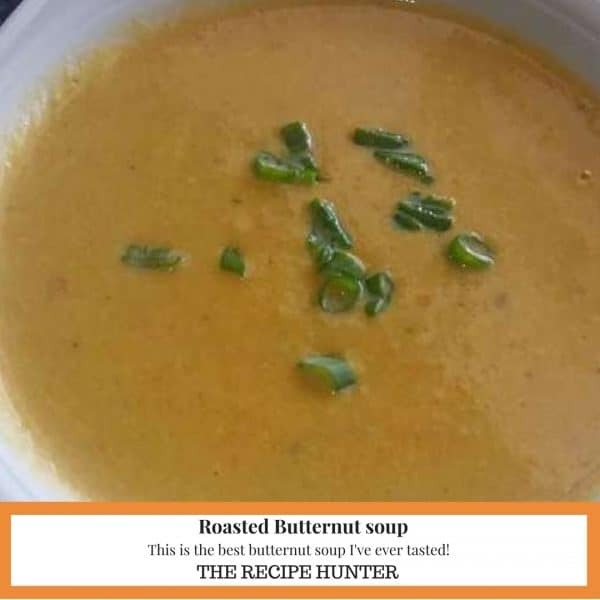 This is the best butternut soup I’ve ever tasted! 1 butternut cut into cubes. Add in oven roast dish and sprinkle with Robertson Aromatic roast potato spice. Braise 1 red onion & spring onion in oil. Add chopped celery sticks, 1 grated carrot, and 1 deseeded red chili. Add seasoned sea salt, pure black pepper & 1 teaspoon Osman Taj Mahal roasted coriander. Add roasted butternut to onion mixture. Add half milk and half water and blend with stick blender until to a creamy soup texture. YUM. Also, the new look is great. Thank you Bernadette. Still some work to be done, but getting there.